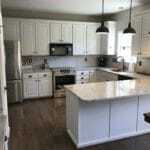 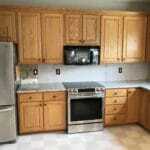 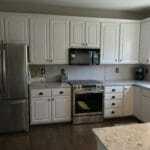 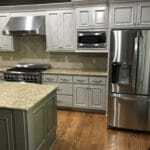 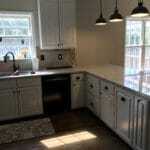 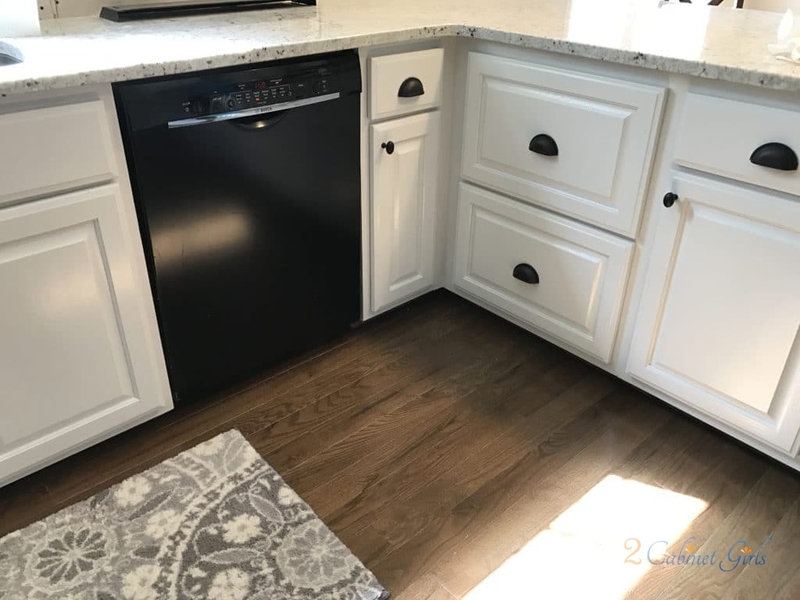 I looooovvee this kitchen makeover. 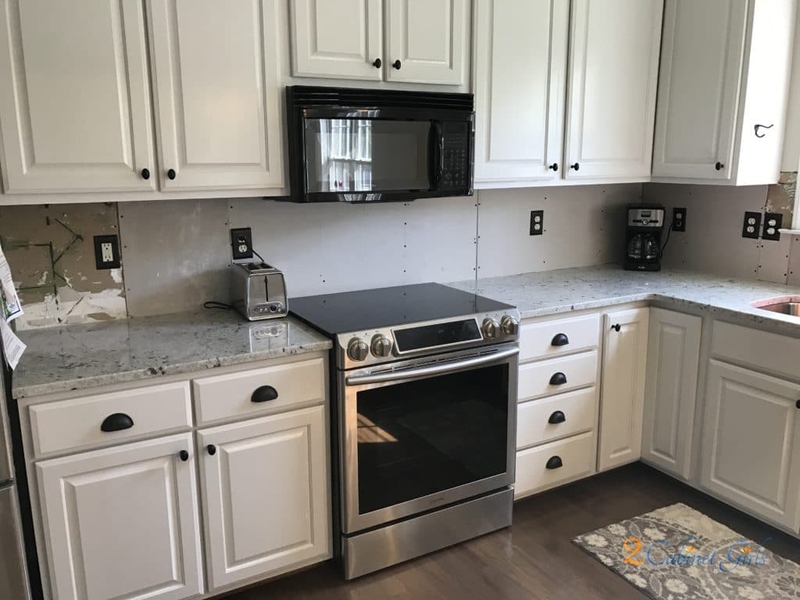 And I’m sure I’ll love it even more once the backsplash is installed. 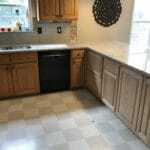 I can’t even believe the Before & After photos. 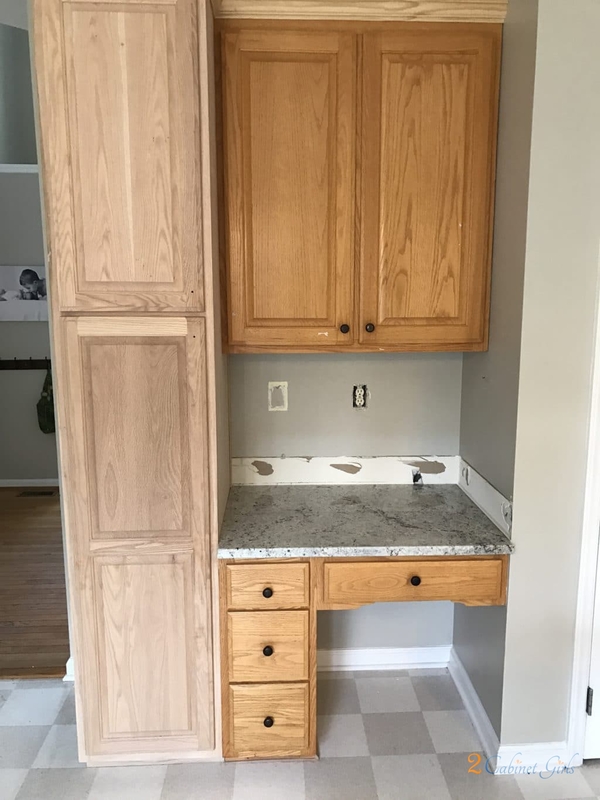 What a HUGE transformation. 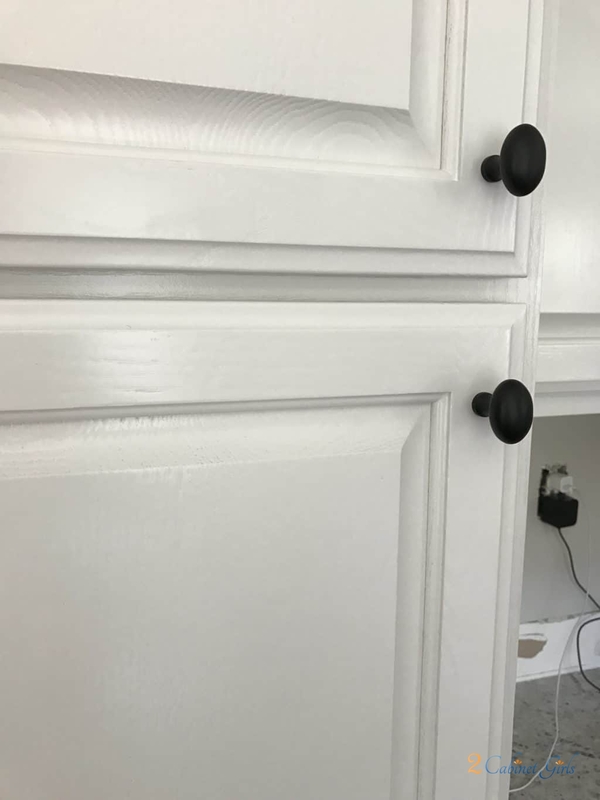 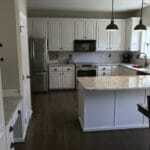 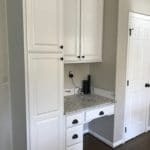 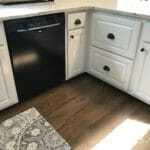 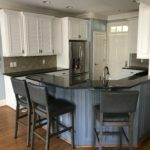 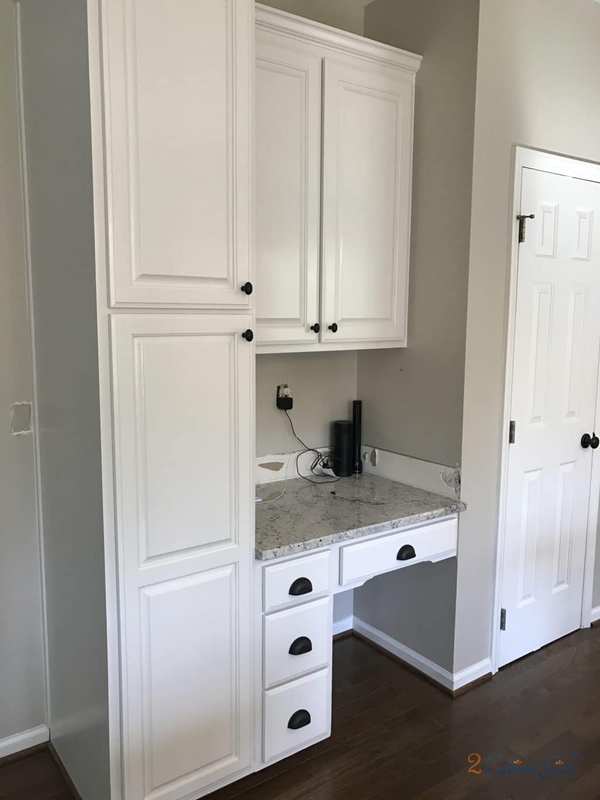 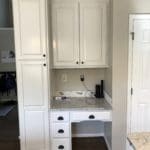 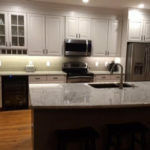 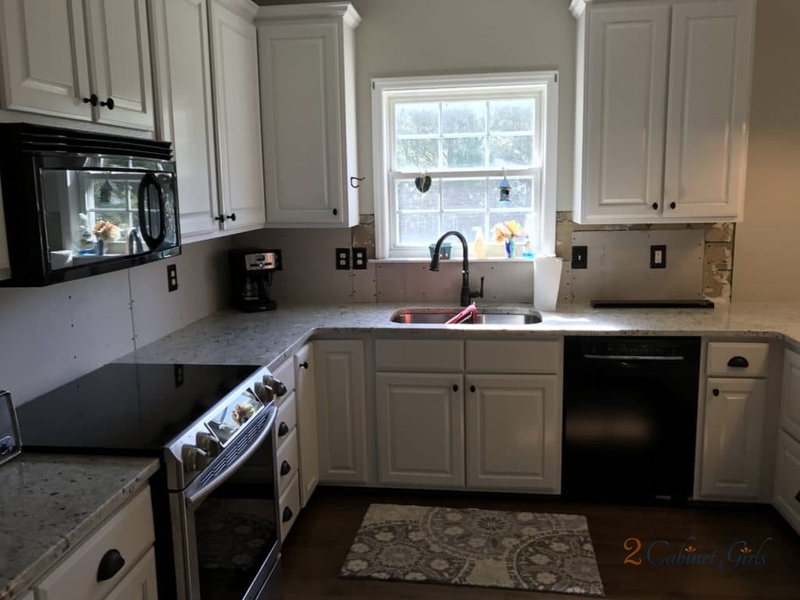 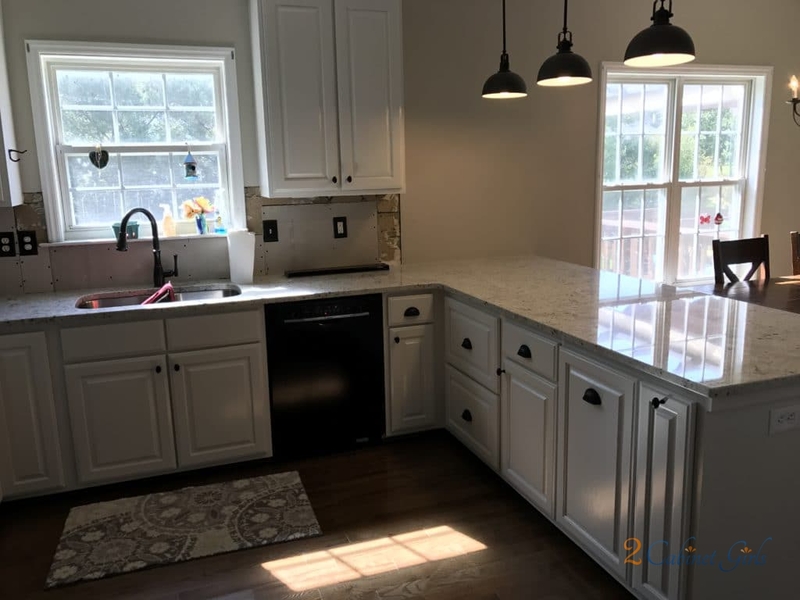 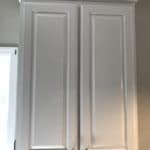 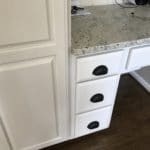 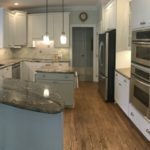 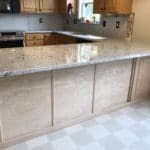 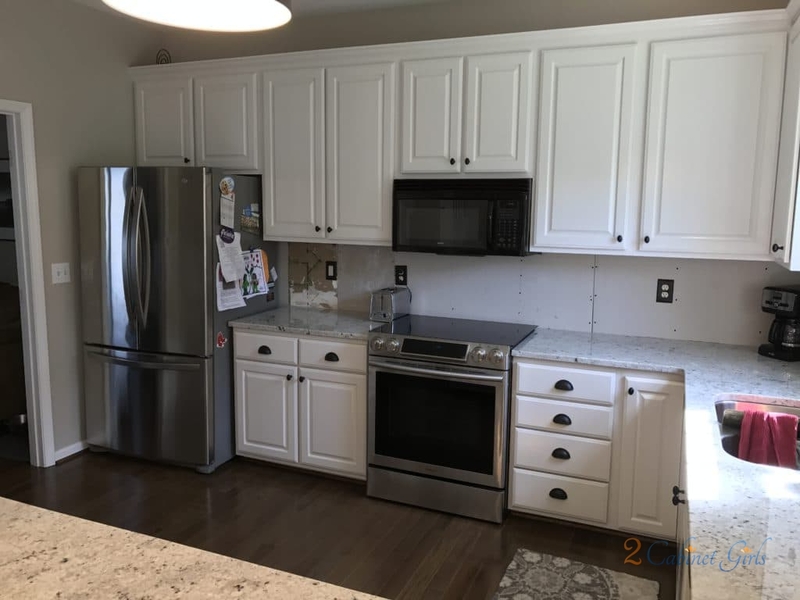 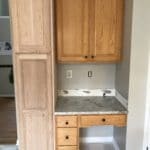 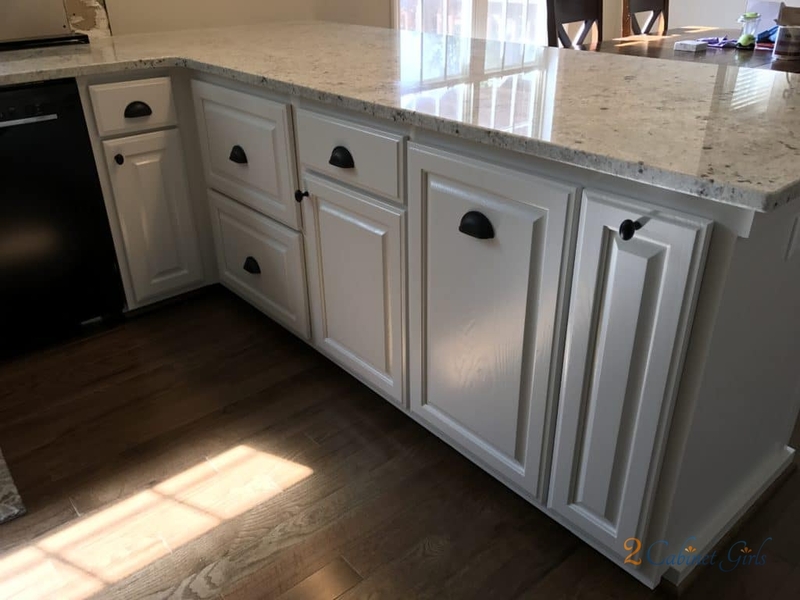 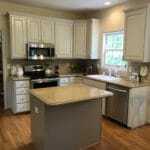 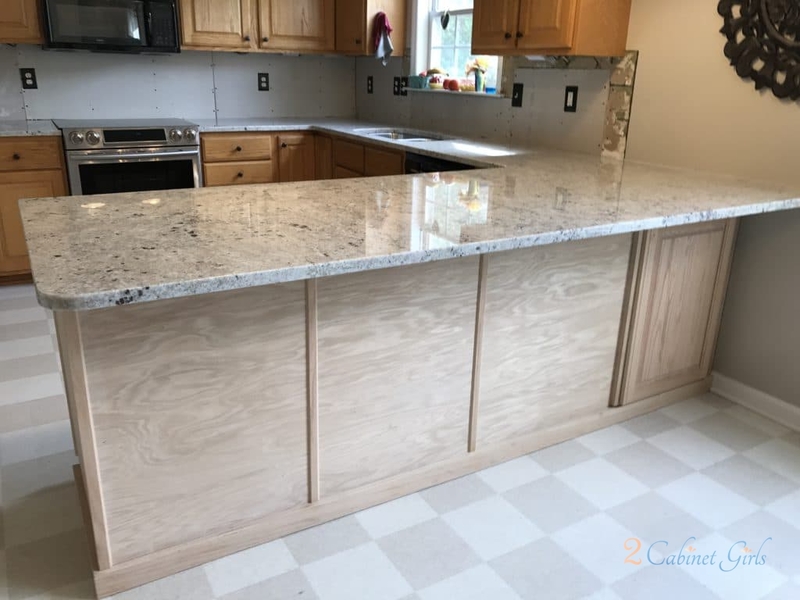 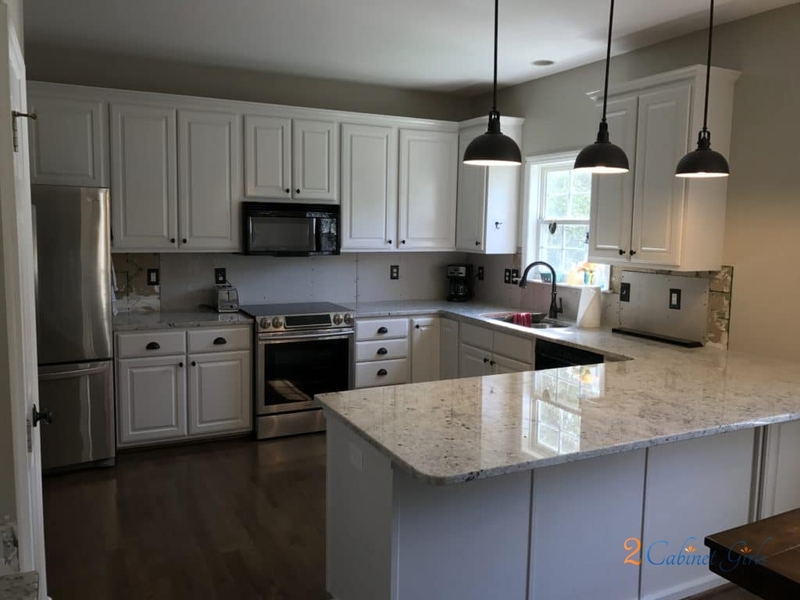 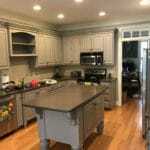 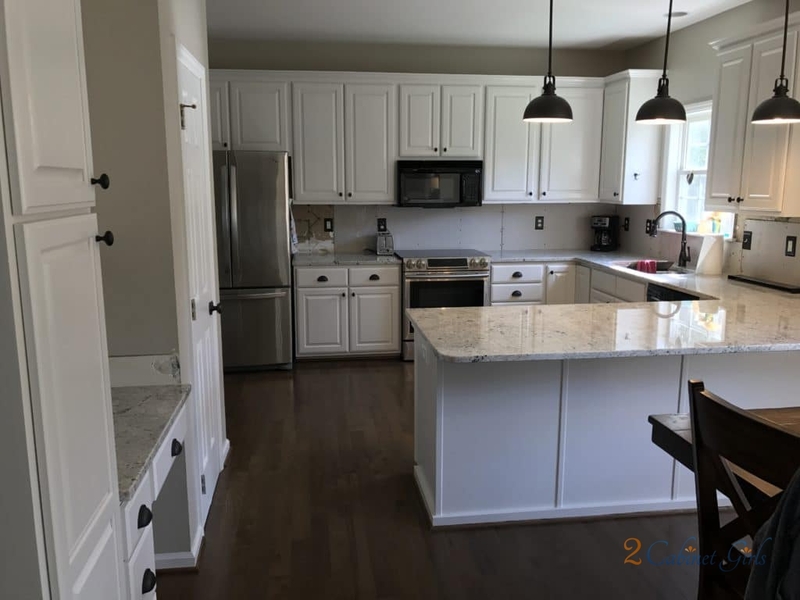 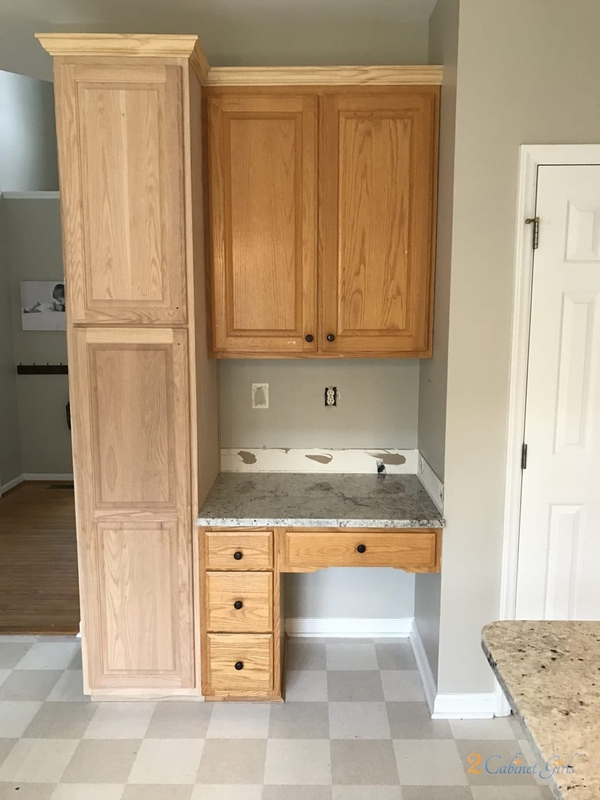 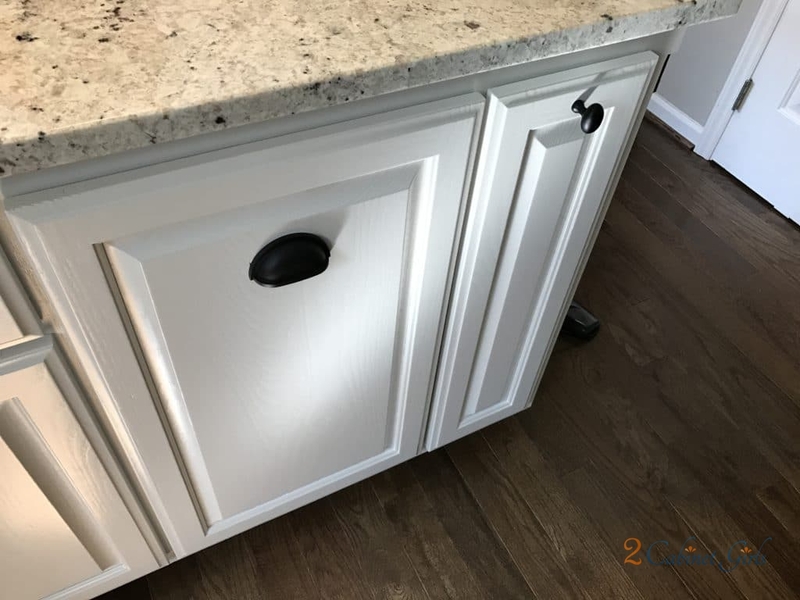 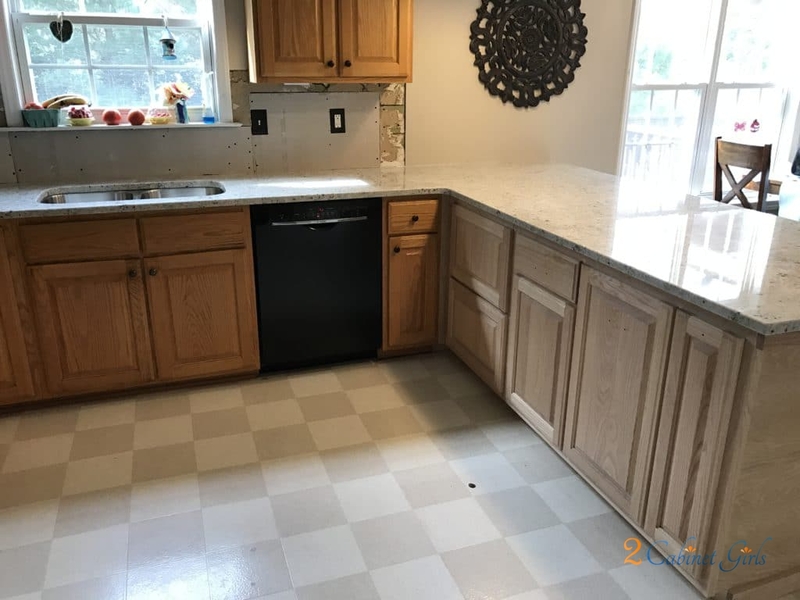 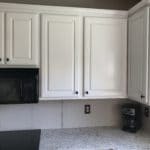 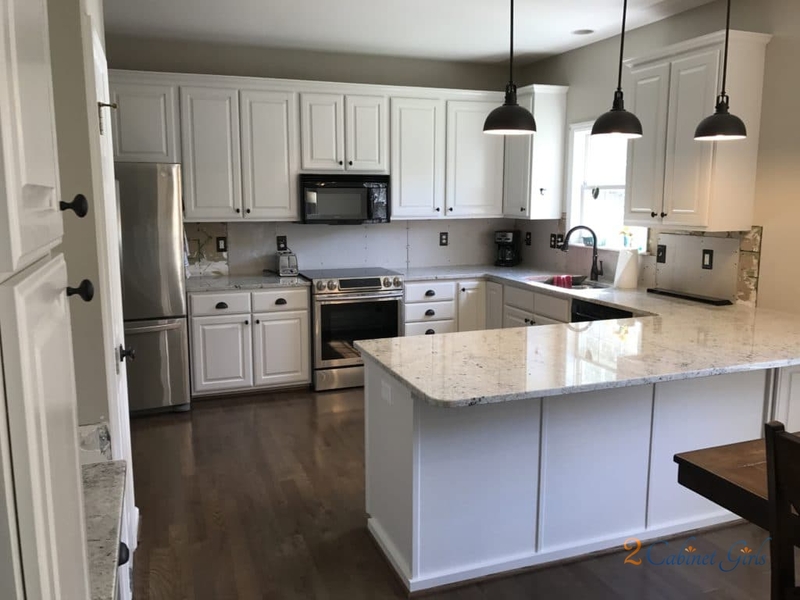 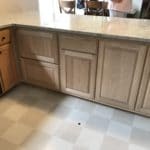 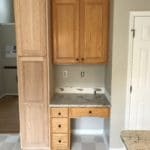 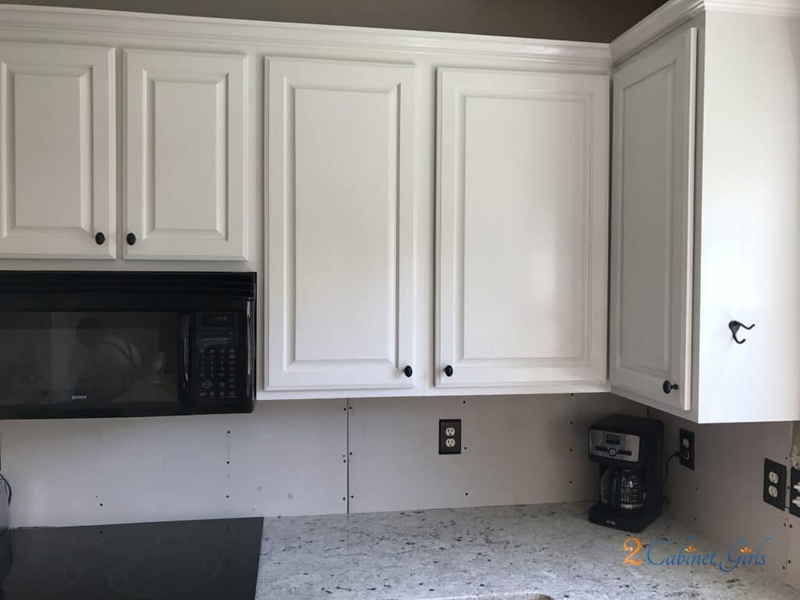 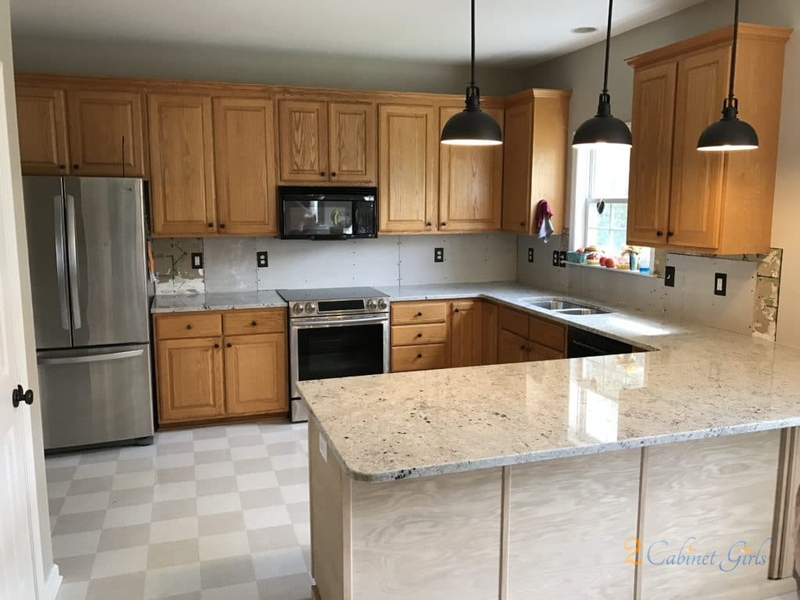 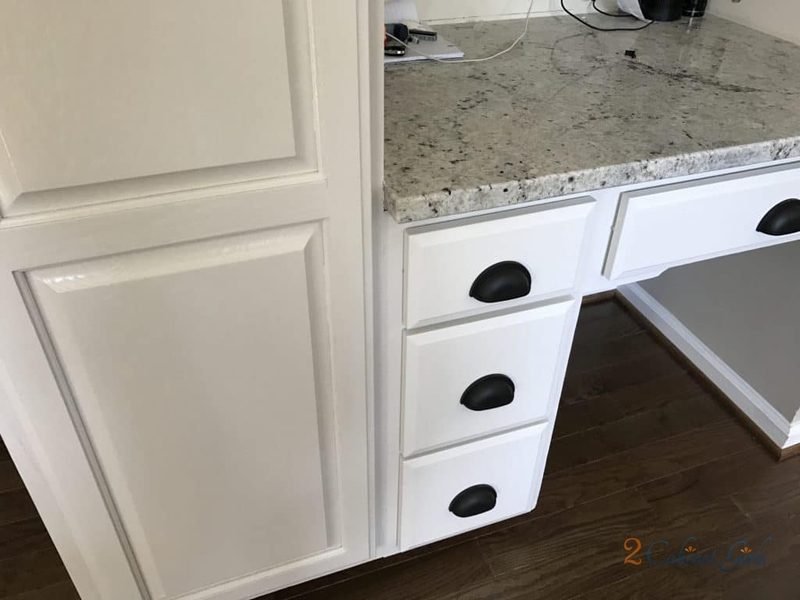 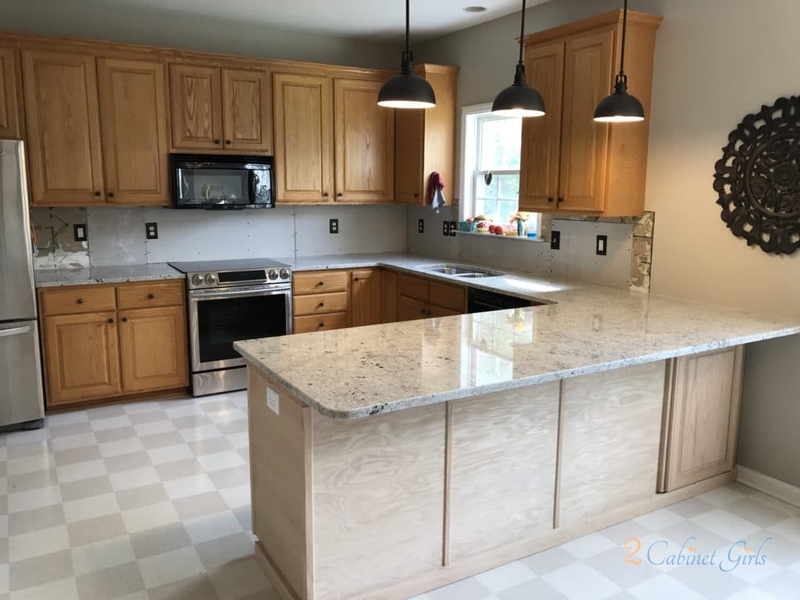 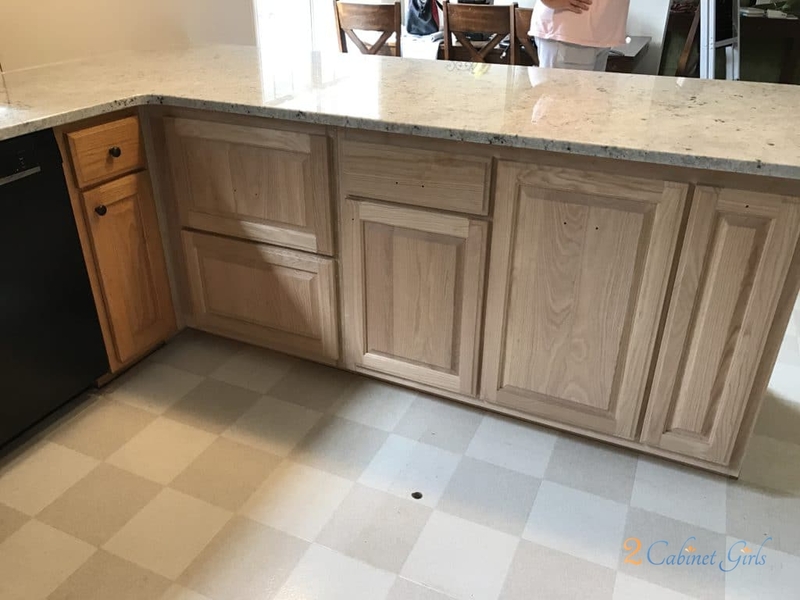 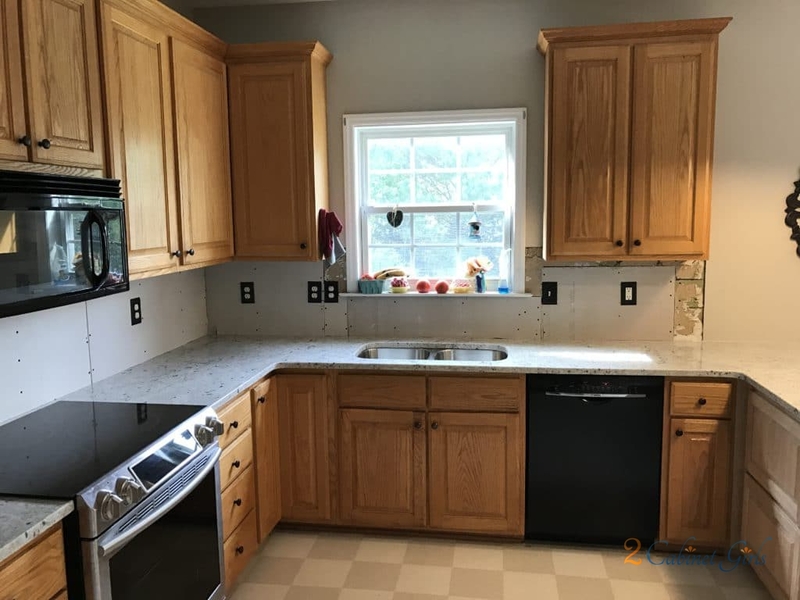 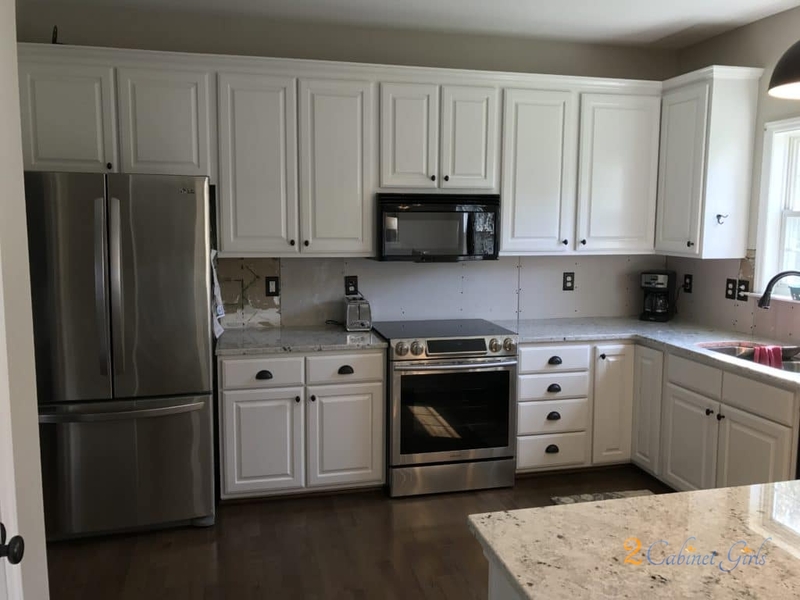 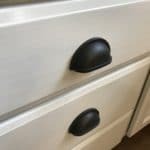 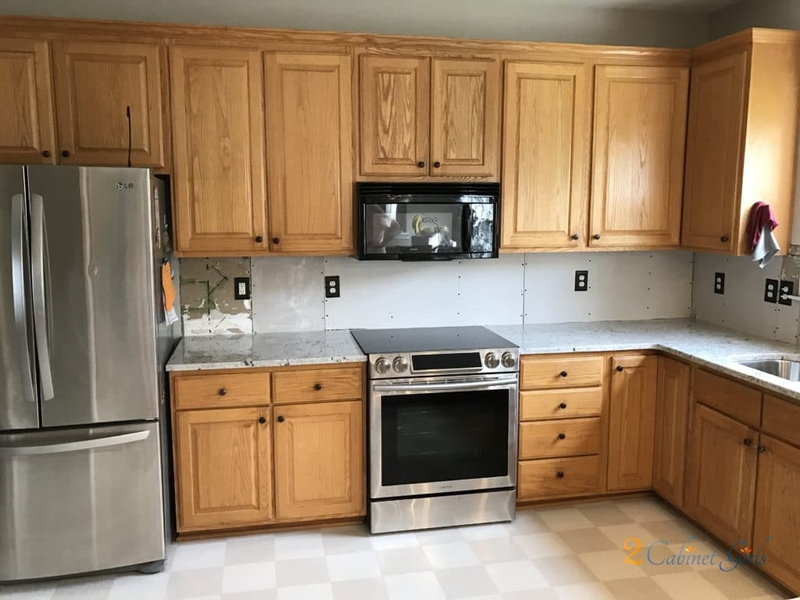 This kitchen used to have a small island in the middle of it, but the homeowner removed the island and added the long peninsula, and then added the tall pantry cabinet alongside the desk as well. 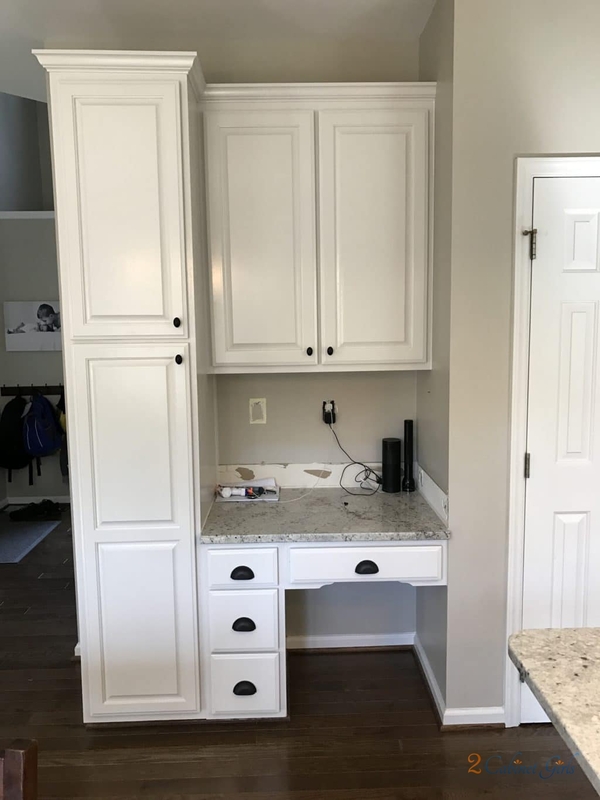 Now there’s double the cabinet space! 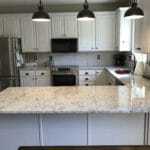 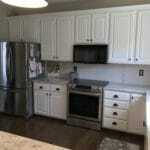 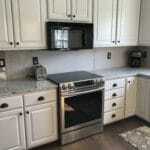 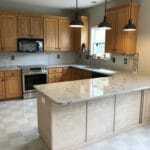 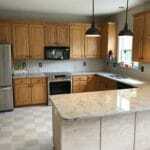 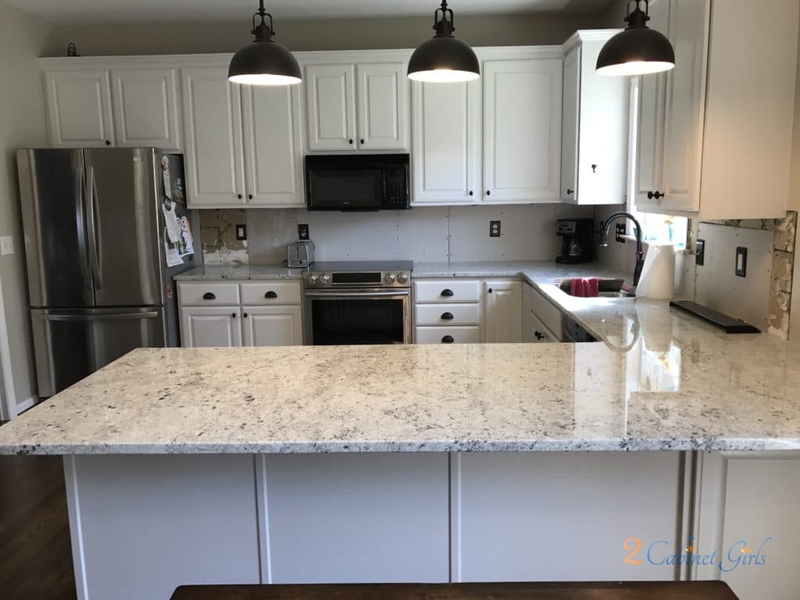 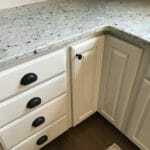 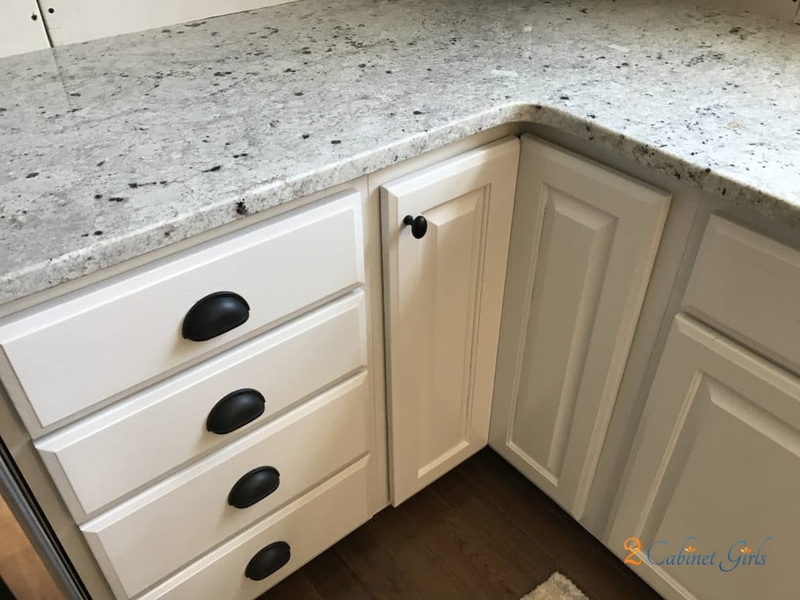 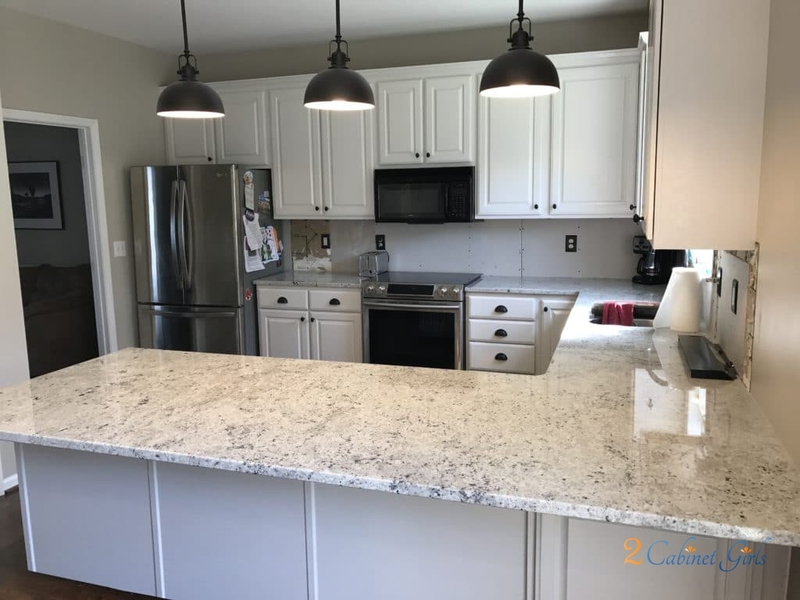 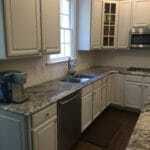 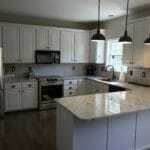 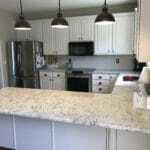 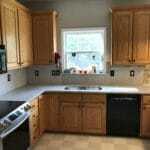 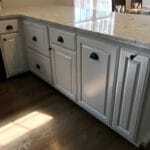 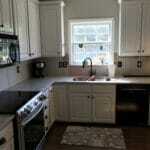 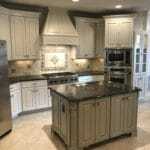 We picked Benjamin Moore Silver Satin to compliment the new granite. 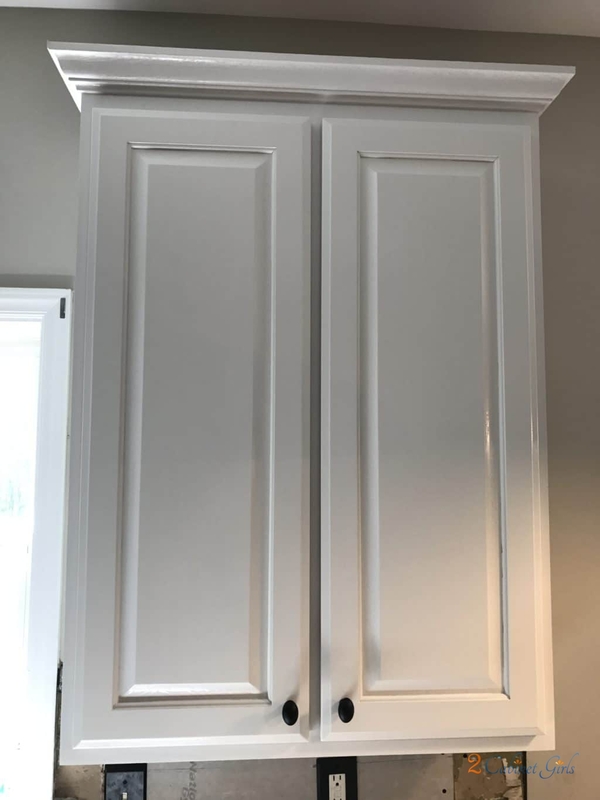 It’s a soft, creamy white with grey undertones. 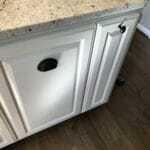 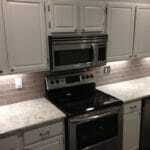 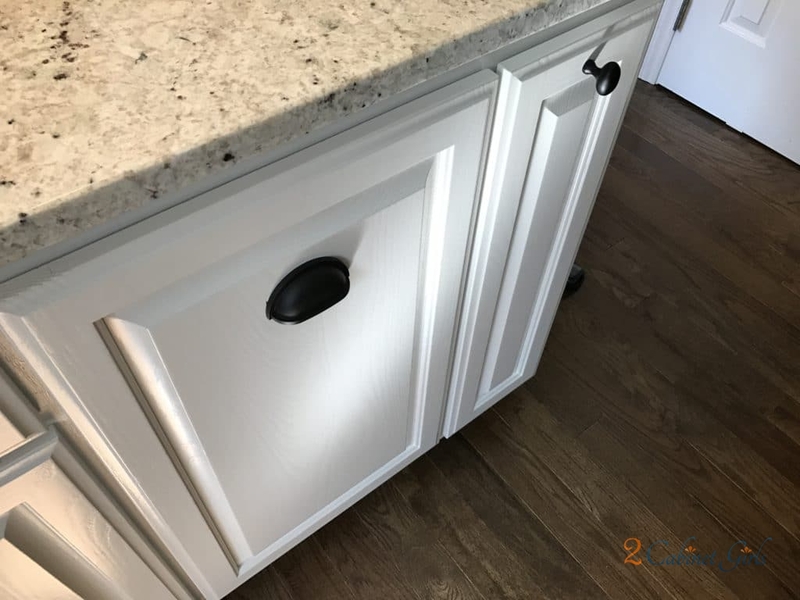 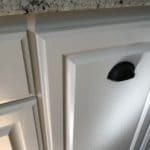 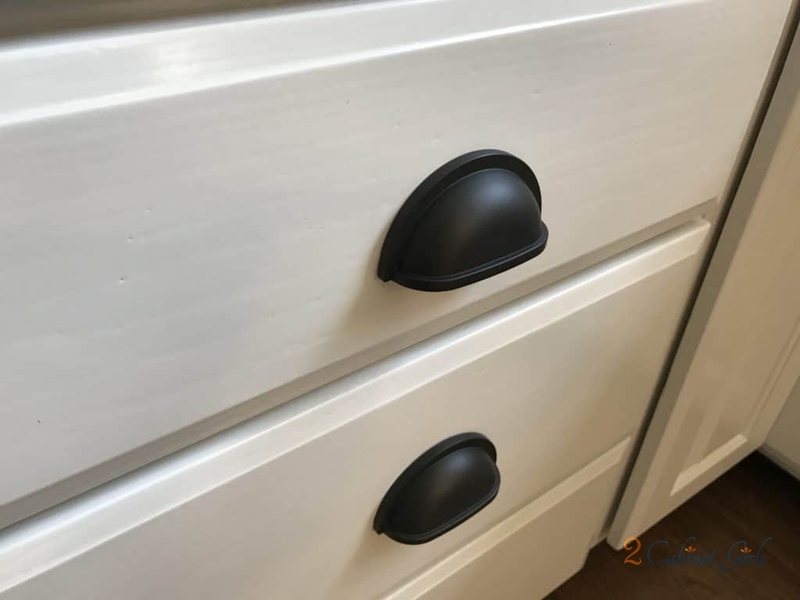 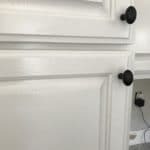 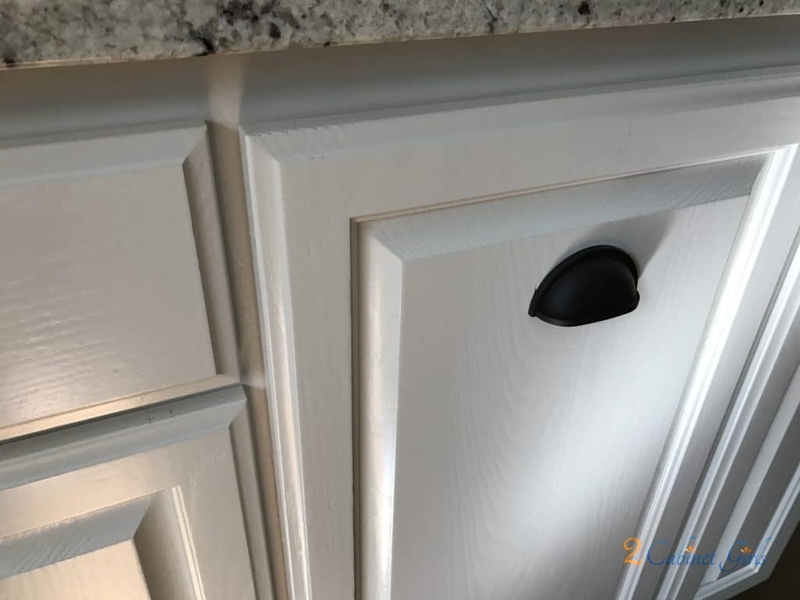 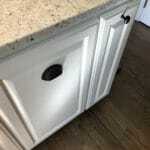 And the new oil rubbed bronze hardware and light fixtures picks up the dark spots in the granite.